Microalgae hold promising source of renewable energy to replace diminishing oil reserves as a source of lipids for biofuels. Algal Oils are rich in the triacylglycerols (TAGs) that serve as material for conversion to biofuels. Studies on the biosynthetic pathways and rate limiting steps of triacylglycerol formation in microalgae are still infancy. 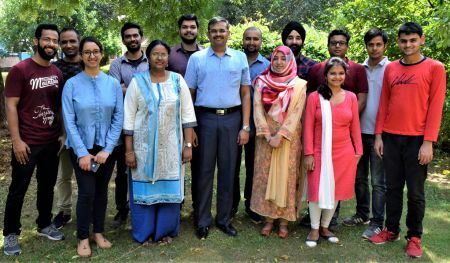 My research aims to study the overall TAG biosynthesis pathway, oil mobilization and role of beta-oxidation genes in TAG catabolism and also RNA-mediated silencing altering the lipid content with increase in overall lipid production or shift the balance of lipid production. 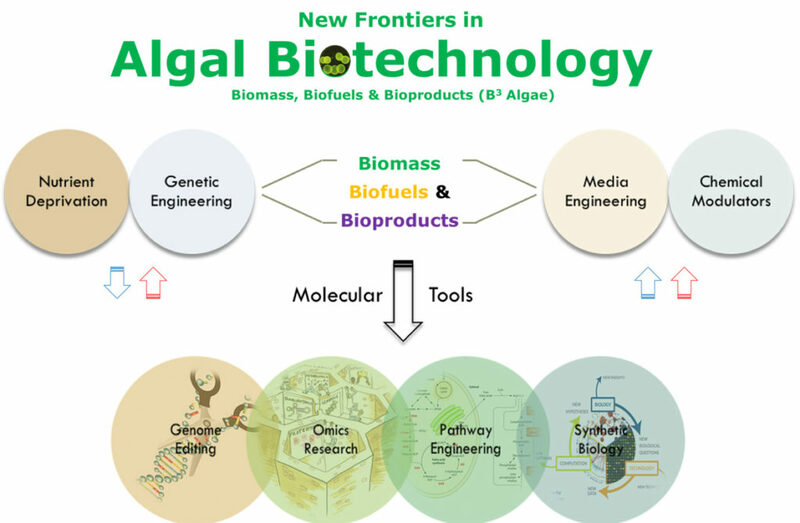 Understanding these biosynthetic pathways and the adaptation of systems-based approaches to metabolic engineering of microalgae may be a critical step towards making algae-derived biofuels economically competitive. Decreasing fossil fuels and its impact on global warming led to an increasing demand for its replacement by sustainable renewable biofuels. Microalgae may offer a potential feedstock for renewable biofuels capable of converting atmospheric CO2 to substantial biomass and valuable biofuels, which is of great importance for the food and energy industries. Integrated “Omics” Research is a powerful tool in understanding the behavior of biological systems as a whole, where the metabolic pathways are often highly regulated and connected with a number of both feedforward and feedback mechanisms that can act positively and/or negatively ultimately affecting the systems output. Understanding the entire system through Integrated “Omics” Research will lead to identify relevant enzyme-encoding genes, and reconstruct the metabolic pathways involved in the biosynthesis and degradation of precursor molecules that may have potential for biofuel production, aiming towards the vision of tomorrow’s bioenergy needs.